I’m greatly looking forward to this. 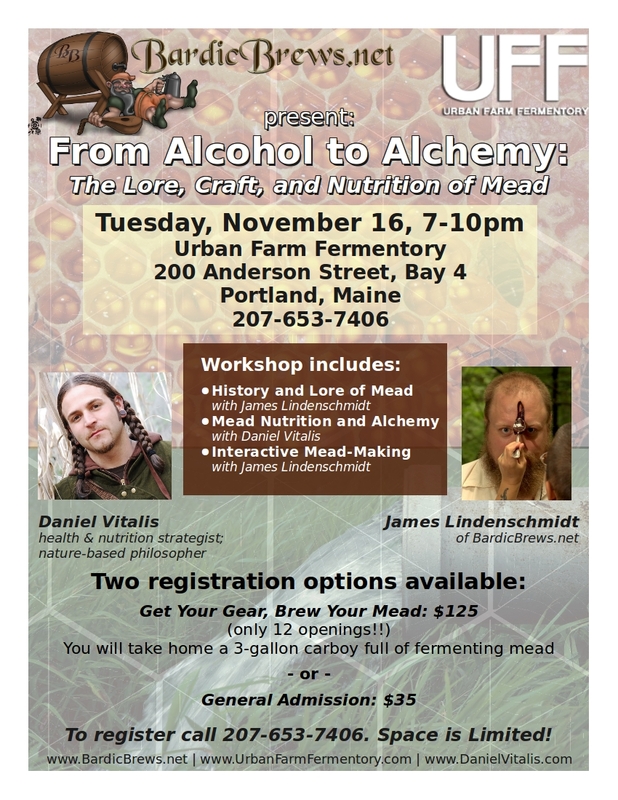 Mead has become a very important part of my reality as of late and I look forward to sharing what I’ve learned with others. Furthermore, it’s always a treat hearing Daniel Vitalis speak. Next Next post: Arcane Theology or Practical Ethos?